Jesus may have had John the Baptist, but my daughter has fireflies. Last night Isabel had barely put her head down on the pillow before I burst into her room and dragged her out of bed. “They have arrived!” I announced, only a little overdramatically. We ran down the stairs together, and out the back door. Sure enough, the backyard was filled with fireflies, lighting up the night. For a few blessed moments in the fading light I watched my daughter run around the backyard trying to catch these messengers of good news. And what was the good news? Here is the back-story: It was almost 10 years ago that my wife went into labor with our first child. We thought Isabel’s arrival into this world was imminent. But the labor stalled out. In that anxious time, our good friends came over and together we took a walk along the Potomac River. 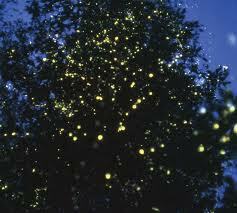 It was there, along a wooden walkway beside Teddy Roosevelt Island that we saw hundreds and hundreds of fireflies. It was one of the most magical things I have ever witnessed. Soon after that Kathryn went into labor. On June 23 Isabel was born. There is a rabbinic saying that every time a person walks down the street, a choir of angels precedes them, shouting, “Make way, make way, for here comes the image of God!” Maybe the fireflies are really angels announcing the good news. Who knows? Jesus had prophets foretelling, angels singing in the night sky, and a wild man in the wilderness, all of them saying something important was about to happen. I have June fireflies and Isabel, and for that I give thanks to God. And what about you? What reminders do you have from God’s creation that something important has happened? thank you for this, Doug. What a lovely story. I posted it on my Facebook page. 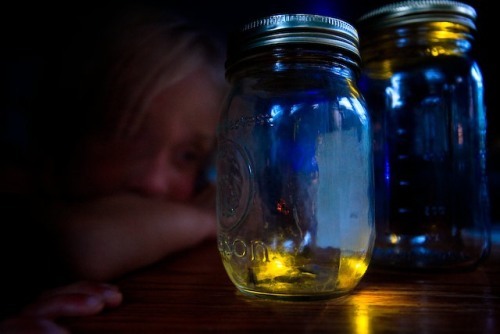 Fireflies were always special in my childhood. Reminders from G*d's creation that something important has happened? What comes to mind for me are similarities, or synchronicities: broccoli looking like bronchial tubes in our lungs looking like winter trees against the sky; the nautilus shell and winding stone steps in castles and large buildings; veins in leaves and in our arms and legs. And many others.